You’ve heard time and time again that artists need to be on Instagram. You’ve seen the stats. You know that when done right, Instagram can become a huge asset to your art business. But when you only have a few hundred followers (let’s face it, mostly family and friends), it can feel like an eternity waiting for that coveted notification to pop up—the one announcing you got another follower. If your only plan is to post a picture, sit and wait, it’s going to be a long road ahead. The truth is, building your Instagram followers takes a healthy dose of effort and strategy. Now, smaller accounts can be harder to build. The internet is filled with tips and tricks to grow your followers, but most are either geared toward already large accounts, or they ignore the fact that not all followers are created equal. But hope is not lost! Cracking a thousand followers is not only possible but completely doable with the right strategy. There is a tried-and-true recipe when it comes to Instagram success. Yes, different cooks will throw in different spices from time to time, but no one can ignore the main ingredients. Without them, the recipe simply won’t work. Images: First and foremost, always, always, always post high-quality photos. That includes good composition, lighting, cropping, etc. Use filters very carefully and sparingly when it comes to posting shots of your artwork. People will not stick around if your images aren’t up to par. Username: Use your art business name, if it’s available so that it’s consistent with the rest of your online presence. Typically it will be your full name with a keyword like “art” attached. Remember, you want it to be as easy as possible for people to find your account. Bio: Keep it short, sweet, and attention-grabbing. Make it extremely clear what sort of value people will get from following you. Use keywords that your audience would search for in the description. Privacy Settings: If you are using your account to promote your art business, it should not be private! Otherwise, there’s no point wasting time on social media. When people come to your page, having these bases covered will help ensure they stick around. You may have heard of the “follow back” trick on Instagram—where following a random account will prompt a notification from your page, and once they click to see who you are, hopefully they are enticed enough to follow your page, too. While this can work in certain situations, there are a few problems with using this as your entire growth strategy. One, who has time to find a thousand random accounts to follow? Two, what are the odds they actually follow you back? And three, what are the odds that the people who follow you back are the people you actually want to be reaching? Having a bunch of Instagram followers is swell, but it won’t do your business an ounce of good if they don’t actually care about supporting your art. That’s why it's important to always make sure you are going after your target audience when you are trying to grow your account. Here’s how to gain followers the right way. 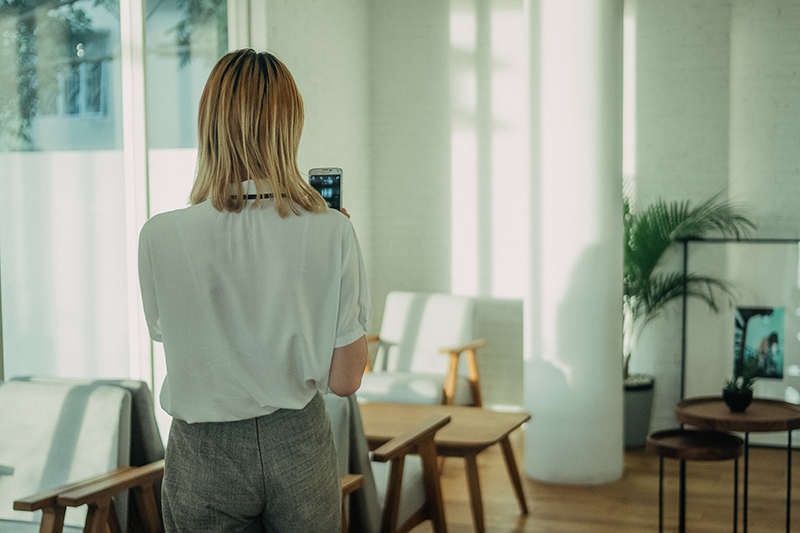 While you’ve probably already connected with family and friends (learn how here), the next step is to identify some Instagram accounts connected to your target audience. This could be galleries, interior designers, art consultants, fellow artists, artist organizations, etc. The first step? Start following them. If they follow you back, great! But that’s not where the story ends. Step two: slowly but consistently start liking and commenting on their latest posts. Be complimentary or pose questions, but always be insightful. There’s nothing worse than an Insta user clearly using you for their own gain. The goal is to be social as possible so that these accounts (and the ones following them) see your comments and are impressed enough to check you out. You’ll not only spark curiosity about your own page, but you’ll begin to build relationships. And, these interactions will make them want to engage with your posts as well. Thanks to Instagram’s ever-changing algorithm, it’s now estimated that you see only 10% of the posts from people you follow. And, the same goes for the people following you! So, what’s the trick? Engagement. In fact, the more people engage with your post, the higher it appears in your followers’ feeds. And the people who engage with you consistently are more likely to see your posts in the future. The more engagement you get on your posts, the more people will see it in their feeds and search results. Which means a higher chance for even more people to engage with it and discover your account. And the more engagement you get, the more people will want to follow you. Hence, the more followers you will get! The bottom line is, you get out what you put in. You need to engage with others so that you will get engagement and followers yourself. But that means you have to spend the time communicating on other people’s posts (so they remember you and eventually come over to your account), as well as posting amazing content of your own that people will want to interact with and follow. Remember the very first item on our list of basics? High-quality images. Think about the posts you hit “like” on as you’re scrolling through Instagram. Friends may forgive a blurry photo because they know and love you. But, when you’re trying to pique the interest of collectors across the world, they may not be convinced when your photos—and captions—are poor. Your photos need to catch their attention. Excite them. Leave them in awe of your abilities as an artist. And, there are so many creative ways for artists to post on Instagram and Instagram Stories. Consider the possibilities: progress posts, before and after shots, behind-the-scenes in the studio, a timelapse of your process, quotes that fuel your practice, voting between two works, a quick video tutorial, testimonials about your work, a revelation you’ve had, exciting news, etc. And your caption is just as important as the image itself. While it may be easy to throw up a piece’s title and price, your followers yearn for more. They don’t want to be blatantly sold to, they are bombarded with ads all day long. No, they want to be enticed. They want to be told a story—who you are, what you’re feeling, your inspiration, the problems you solved, how the artwork came to be. You’ve literally painted a picture, but now you need to do it figuratively. Every post should start a conversation. The goal is engagement, don’t forget! One of the best ways to do this is by asking thoughtful questions at the end of your posts. Even if your followers don’t respond at first, eventually they will. Especially if you respond to others’. Keep asking and keep engaging. Finally, before you post anything, ask yourself if you would engage with this post. Is it worth it to share? If your answer is no, or you doubt if you would engage with the post, then maybe something needs to be tweaked. Find the type of voice and posts that speak to your audience, then do more of it! Hashtags wield fascinating powers. They are the keywords and phrases that make an image searchable, so your post gets discovered by the viewers most interested in seeing it—A.K.A your target audience. But to harness these targeting powers, you have to use the right hashtags. If your mind is racing with keywords, that’s a great start. But, the first rule when it comes to hashtagging is to narrow it down. While #art is extremely popular (it’s tagged in over 350 million posts), it could also apply to anything: someone strolling through the Met, a box of pastels, a styled plate of food, or even a sunset—all extremely different results. That’s why you need to get specific. Think about the exact keywords your audience will search for. For instance, #abstractart may be more specific than #art, but #blueabstract might be specific enough to bring you a new buyer. You want your hashtags to be popular enough that people are searching for them, but not so popular that you get lost in the competition. Type a hashtag into Instagram’s search bar, and it shows you related hashtags to add to your list. Or, take a look at what other artists and influencers with the same audience are using, and try them for yourself. Instagram allows you to use up to thirty hashtags at a time, but different numbers work for different people. The magic number could be seven or it could be twenty, reminds HubSpot. The best way to figure out what works for your art business is to simply test it out. Social media success is all about testing the waters and adjusting your sails accordingly. And for faster posting, keep an updated doc full of different hashtags for different kinds of posts. That way you can just pick and choose the ones that fit and copy and paste. When you post regularly, you stay on your followers’ radar. And, you are able to build a connection where they consistently like and comment on your posts. So when you aren’t consistent with posting, you are more likely to lose engagement and get lost in the dreaded algorithm shuffle. Even if it’s a few times a week, pick a posting schedule you feel comfortable committing to. Enough to get on people’s radars, but not so much you burn out. You need time to create art, too! 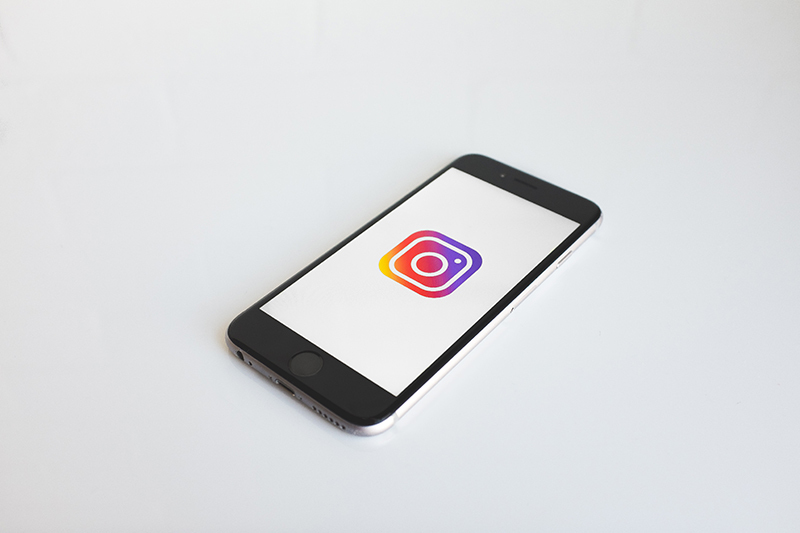 With a free business account, Instagram offers insights such as fan demographics, how often your post was viewed, if they found you through hashtags, when your followers are online, and more. Knowing the right time to post can make a huge difference when it comes to engagement. And the faster you get engagement, the better. Remember, besides posting, you need to make time for quality interactions with certain accounts. Creating a marketing calendar can be a great way to keep track of it all. Sometimes all it takes to get more Instagram followers is a little visibility. Get the Insta word out by including a link to your account on your other social media pages, and remind new fans to follow you periodically. Don’t stop there! Put an Instagram icon on your Artwork Archive profile, and add your username to your business cards, event materials, and more. Have a newsletter? Share your account with your email followers. All these steps can add up to get more eyes on your art account. Getting those first thousand followers can feel like a never-ending battle. While it takes some time and hard work, these tips are meant to compound one another. Taking care of all of these elements will eventually help your small Instagram account turn into a booming asset for your art business. Then, when you start making sales, you can keep everything organized on Artwork Archive. Mark which pieces have been sold, generate invoices to get paid and track sales insights so your Instagram account stays profitable. Manage your art business with Artwork Archive. Give it a try free for 30 days with no commitments. Want a chance to win free art supplies? In two easy steps, enter our AA Loves Abstracts Facebook Contest! You know you should have your artwork online, but you might not know why it isn’t selling. Avoid these 5 mistakes artists make to increase your art sales. You’re ready for a solo exhibition, but where? Ask these 7 questions to find the right space for your art business. What Are the Artwork Archive Reports? Learn how to free up hundreds of hours by creating inventory lists, invoices, gallery labels and consignment reports with Artwork Archive.